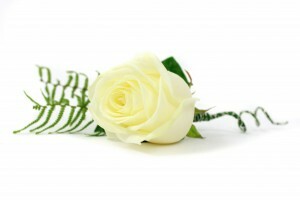 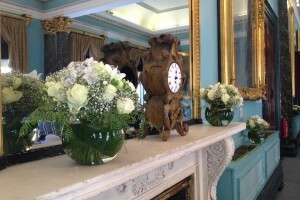 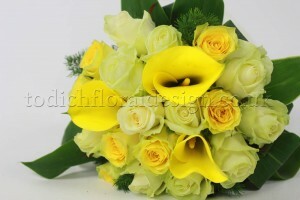 Todich Floral Design was honoured to be involved with preparing the flowers for a stunning wedding on April 28th 2012. 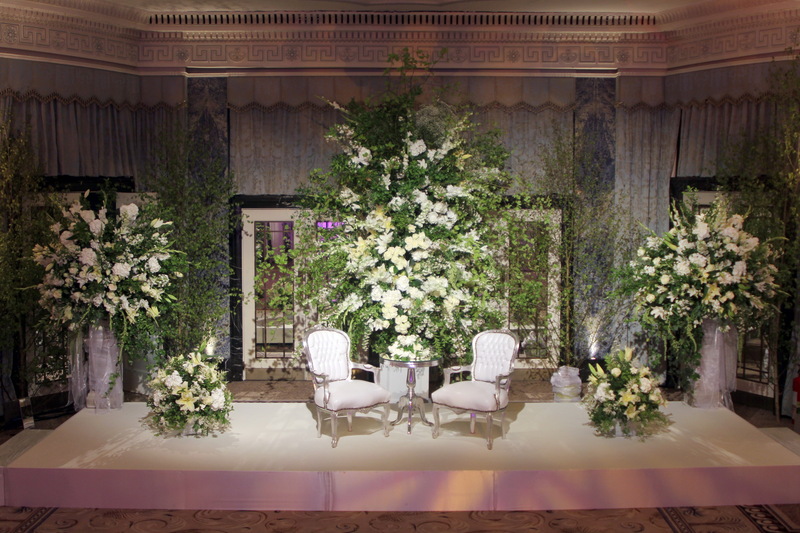 The wedding venue was held at the magnificent Dorchester hotel, and our florists couldn’t wait to start designing the arrangements for this magnificent day. 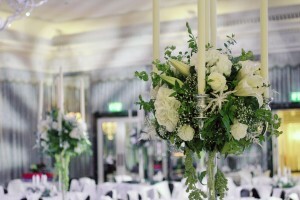 A popular venue for weddings and events; the famous five star hotel is decorated to the highest of standards, known for its British iconic style; the luxurious rooms are fashioned as 1930’s art deco glamour with a combined contemporary edge, The prominent colour pallets of creams and gold’s radiates the rooms and gives a sense of warmth throughout the venue. The wedding was certainly not on a small scale, with over 200 guests and the majority being woman our request was to provide stunning floral arrangements and lot of them. 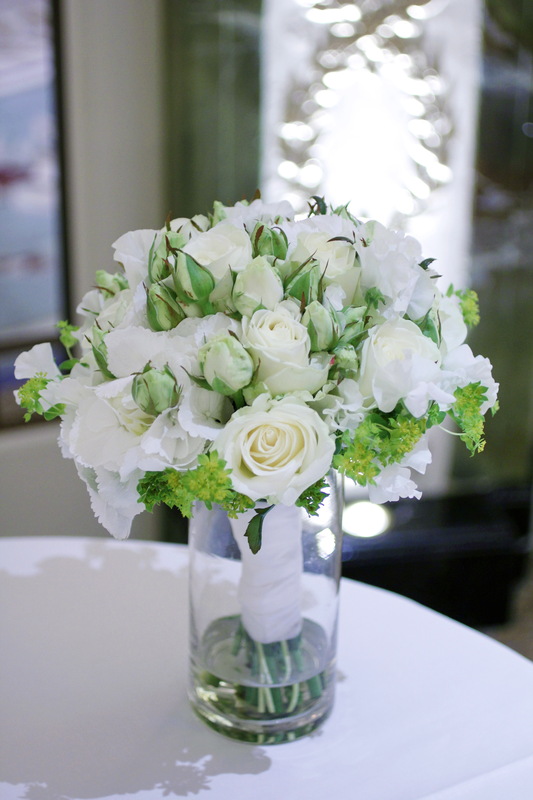 Our head consultant met with the happy couple and discussed their flower choices and after she visited the venue to look at the colour schemes to make everything perfect for the couple’s special day. At Todich floral design we guarantee the highest of service and we always visit the venues to establish the theme so we can design the flowers exact to what you want. We were to cater the flowers as to the wedding religion and traditions; a malay wedding tradition sees that the bride and groom are to sit at a ‘Wedding Throne’ called a ‘Pelamin’ throughout the ceremony. 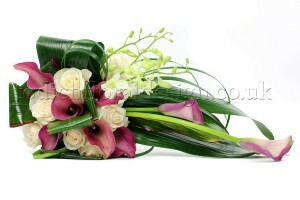 The pelamin is styled as a lounge set up and is decorated fully with flower arrangements. 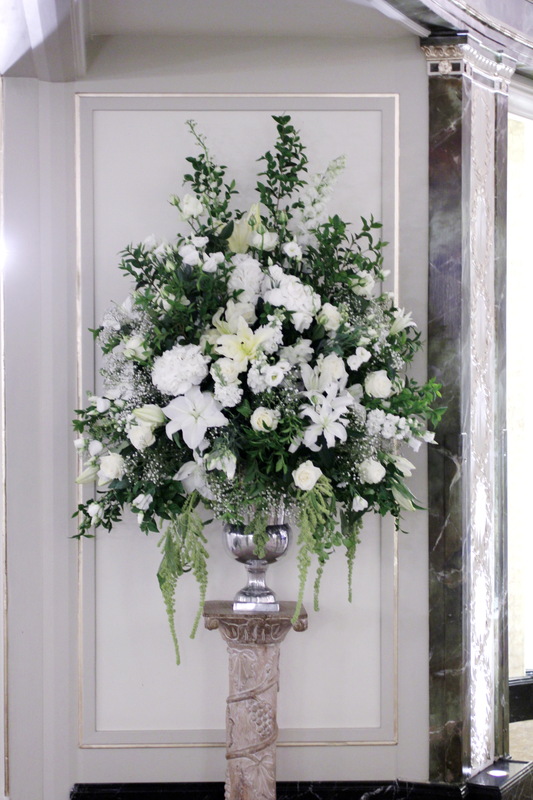 We were asked to design a large impressive flower display for the Pelamin and to also include candelabras, table arrangements, corsages, buttonholes, and of course the bridal bouquet for the wedding day. 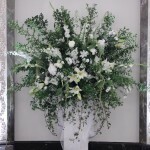 Our consultants designed the venue with an array of pure snow white flowers, white spirea, scented freesias, and gypsophilas, these flowers alone created a traditional and striking look, the florists decided to bring in a modern feel and add white Asiatic lilies and astilbe, this made the arrangement appear more up to date and even more impressive. 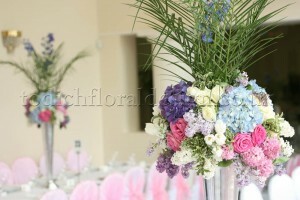 The table displays were a mix of low and tall standing arrangements. 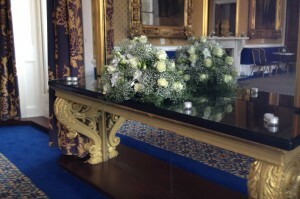 Both filled with white candles and mixed with foliage; the arrangements sat in the centre of the tables on a pure white table cloth. 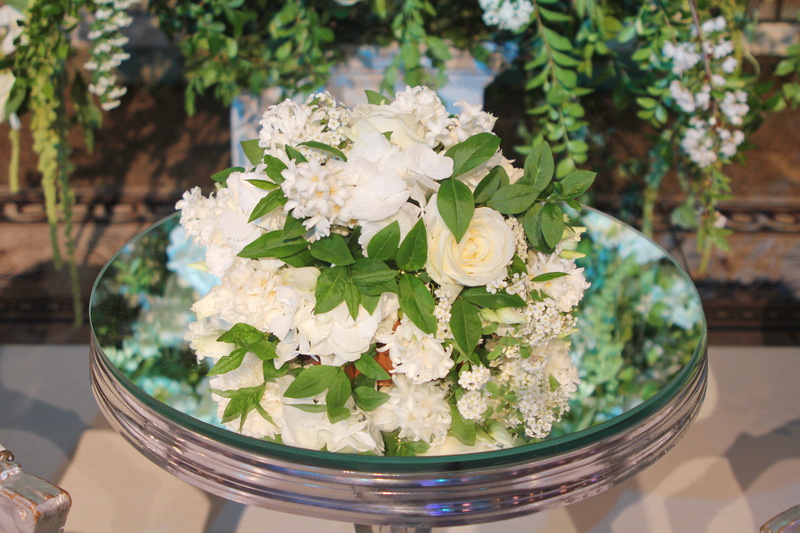 All displays included the same flowers plus a few added peony heads and roses to make the exhibits extra special. 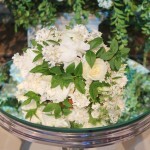 The head table included four small white posies and were linked together with strands of ivy. For the stage we create a small mini table posy, and surrounded the chairs with 2 small and 2 large flower candelabras, stood behind the chairs we put together a large 12 foot arrangement of pure white flowers; this provided a stunning backdrop for the happy couple, and to finish we added tall birch trees in large ceramic vases. Overall the venue looked beautiful with the white flowers filling the rooms. 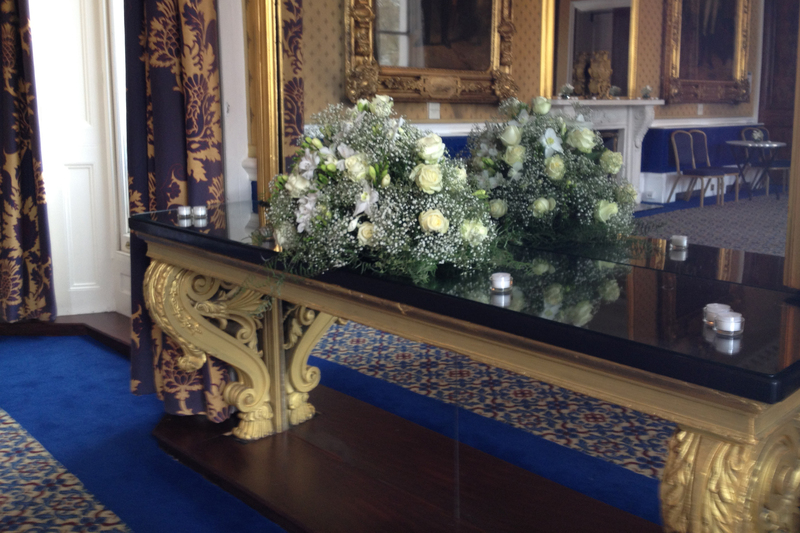 Traditional yet contemporary the floral arrangements were set in place and we are pleased that the bride and groom were happy with the results. 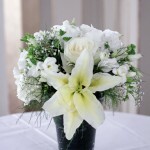 Flowers are our passion and we love to get involved in all types of weddings. 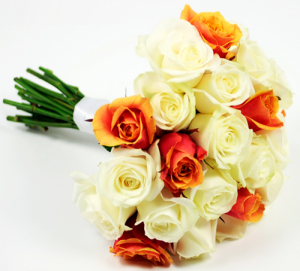 From small family ceremonies to large events, we treat each couple with the best quality of service and we pride ourselves with our list of successful weddings. Spring is here and we at Todich Floral Design are already in full swing with consultations for this year’s wedding season; Turning floral dreams into reality, our flowers create the perfect mood for the big day, we are proud to say that we treat each of our happy couples with the best client service as we know this is one of the most important days of a couples life. 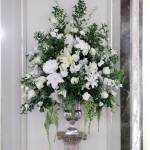 Passionate about flowers our team were honoured to be approached by a couple who wanted us to provide their flowers for a wedding held on April 14th 2012 in London’s Pall Mall. The impressive venue featured beautiful interiors and boasted a columned entrance,stunning function rooms as well as a grand ornate staircase and floral gardens; a perfect and beautiful location to get married. 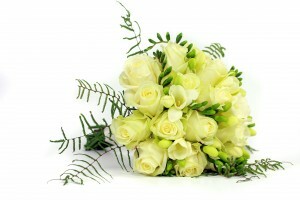 The venues colours were a mixture of creams and soft pastels, the bride requirements was for us to create arrangements of cream and white flowers as well as to include her favourite flower ‘Roses’, Stylish and elegant were the keywords for this event and this was a request which we were easily able to tailor too. 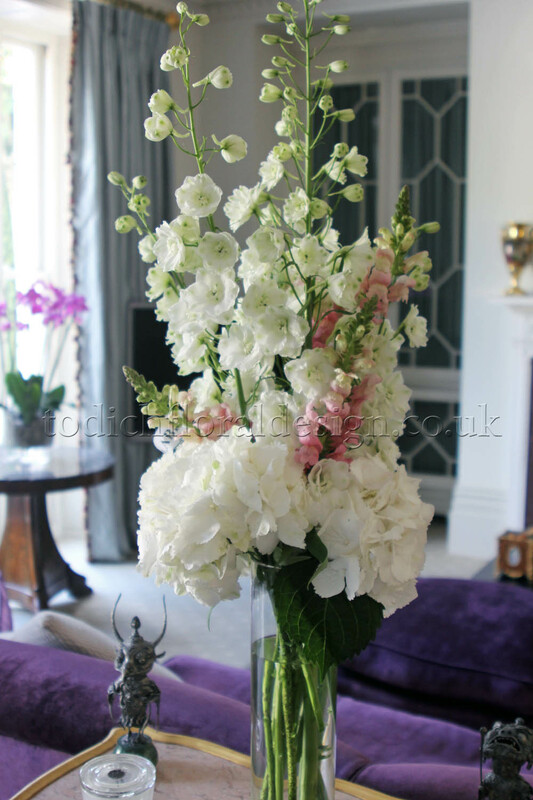 First of all our trained consultants created a collage of images of different designs which fit the brides requirements, presenting possible arrangements with different colour and flower styles helped the bride determine exactly what she loves the most. White roses, freesias, eucharis and gypsophila were the key flowers for the wedding arrangements. 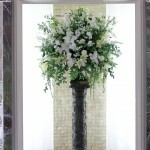 These classic flowers were given a modern twist with the use of eucharis within in the displays. 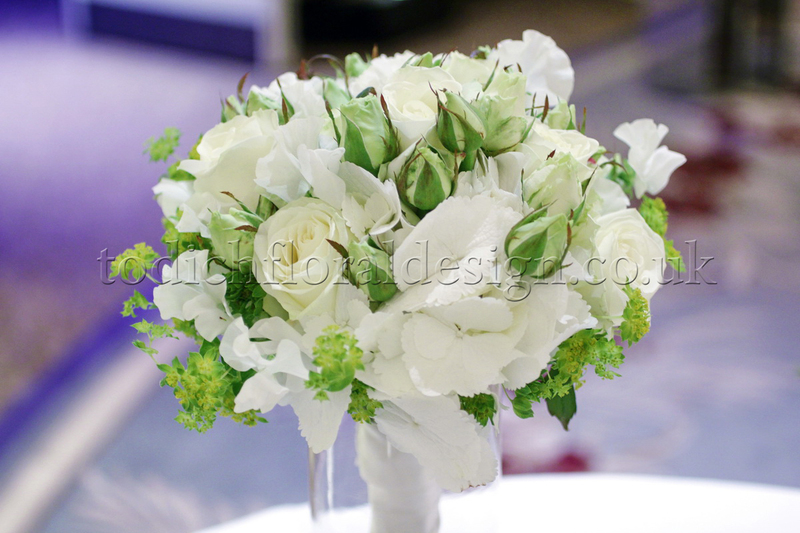 The bridal bouquet was arranged into a round tight posy and finished with Gleichenia microphylla (umbrella/coral fern) which delicately surrounded the outside of the design, giving a softer edge and rounded appearance. 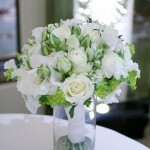 The flowers looked stunning up against the brides cream lace wedding dress. We created 4 smaller but similar bridesmaid’s bouquets, and dressed the venues tables with classical floral displays of seasonal white flowers. 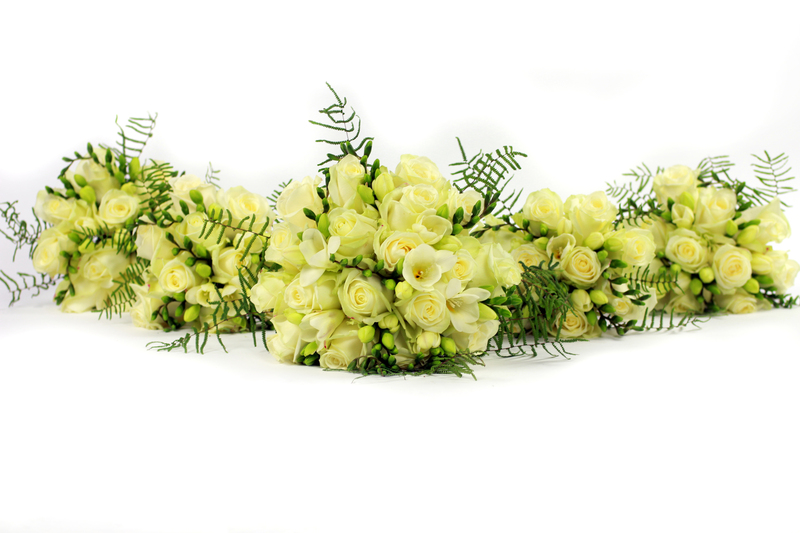 The groom wore a single white rose buttonhole and we even created a white rose flower basket, complete with satin ribbon and cream rose petals. 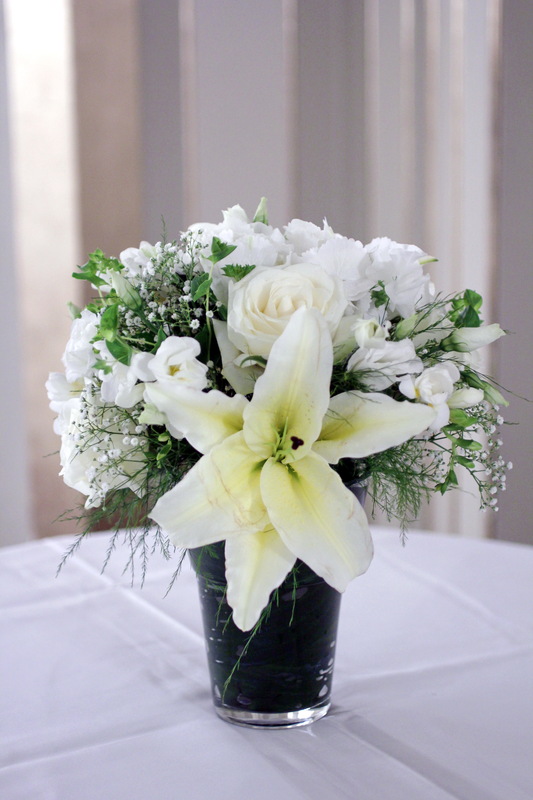 Todich floral design will happily go further than arranging flowers to make an event perfect, we even custom bought single tea lights and inserted them into tiny crystal clear tea light vases to accompany the floral table arrangements. 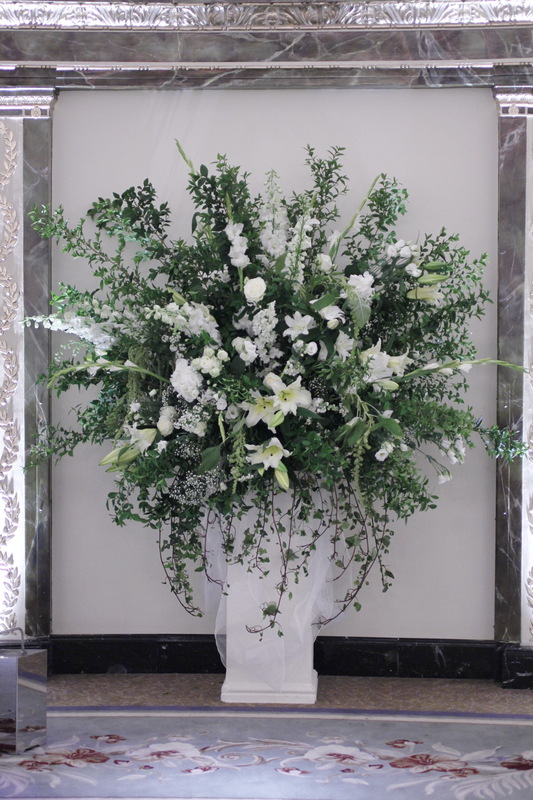 The bride wanted the venue dressed with flowers, fragrant freesias created a wondrous scent to the rooms, we also provided 23 small seasonal floral arrangements which were to be dotted around the hotel to create a perfect romantic setting. Overall the venue looked stunning and matched exactly what the bride requested. 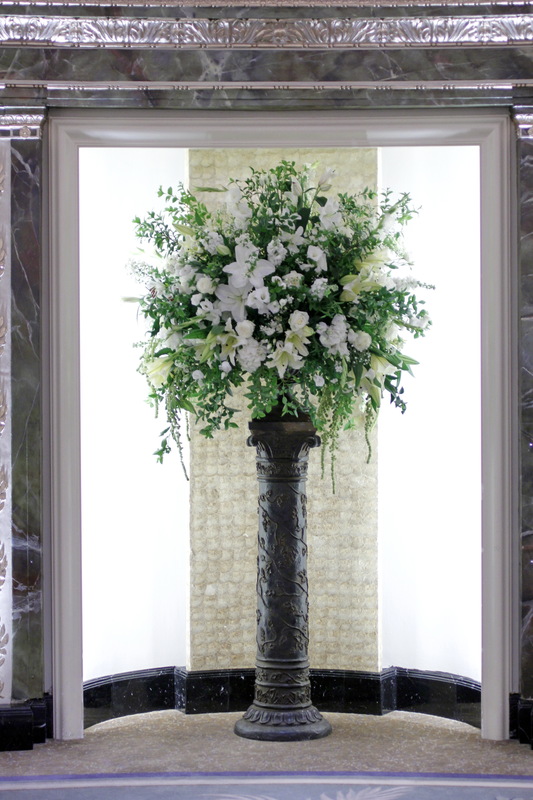 Creating beautiful designs is what we do best and we are thrilled that the bride and groom loved the stylish flower displays.